Visitors can brew up some fun with a visit to the award winning microbreweries in Temecula Valley Southern California Wine Country. Temecula Valley Southern California Wine Country offers many hidden treasures amongst its flowing vines and historic buildings. 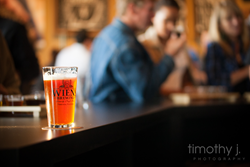 Visitors can brew up some fun with a visit to the award winning microbreweries in Temecula Valley. With so many different brews to sample, an overnight stay is recommended at one of the many lodging options ranging from relaxing resorts to comfortable hotels. Temecula Valley is located just 60 minutes from San Diego and Palm Springs, and 90 minutes from Los Angeles. First established in San Diego 1989, this successful brewery was the first firm foundation of San Diego’s impressive craft brew scene. Since then, they have spread to various other locations around Southern California as well as made their mark on a national craft brew level. Most recently, Karl Strauss has won California Travel Association’s “Brewery of the Year” award for 2016. They have also won an impressive 92 medals for individual beers since they started entering competitions in 2009. Their Temecula Valley location has a very rustic and homey ambiance that lets any visitor soak in the charm of the brewers with a great pint in hand. Come in every month for a new featured food and beer pairing that is sure to be palette pleasing. Karl Strauss is located in the Promenade mall shopping center and is open Sunday-Thursday from 11am-10 pm and Friday and Saturday from 11am-11pm. While running their popular winery, Wiens Family Cellars, the Wiens family made their dream of opening a brewery come true in 2012. They were recently awarded a gold medal in the 2016 Los Angeles International Beer Competition for Double Red Ale with their Type 3 Red IPA, and the silver medal in the 2016 San Diego International Beer Competition for Fruit Beer with their Apricot Wheat. Wiens Type 3 IPA is a perfectly balanced IPA that has a sweet, red colored body complimented by a rush of pineapple and melon notes from selected hops. The brewery is located just north of Old Town Temecula. They are open Monday, Tuesday, Thursday, 3pm-8pm; Friday, 1pm-8pm; Saturday, 12noon-8pm; Sunday, 1pm-6pm; and stop by Wednesday from 12noon-8pm for Wiensday $3 pints. This uniquely styled company obtained its name in fall of 2013 by transforming an eight bay garage into a hop-ping brewery. They have 8 brews that have won 10 gold, silver, and bronze awards in 4 competitions. Their Golden Helles Lager, Marshmallow Milk Stout, and Mango Hefeweizen make up their impressive gold medals. Part of Garage Brewing Company’s success is through their special brewing style. They use reverse osmosis in their water that allows them to replicate brews from all over the world as well as tweak their own beer recipes. Their brewing style gives them the freedom to produce and serve incredible brews while still respecting the old world traditions. Their brewery includes four or more year round styles with up to six seasonal creations. To appease any appetites while tasting their new monthly beers, Garage Brewing Co also serves exceptional pizzas. They are located in the old automotive center on the South side of Old Town Front Street and are open Sunday 11:30am-8:45pm; Tuesday-Thursday 11:30am-8:45pm; Friday-Saturday 11:30am-9:45pm. The original Temecula Valley craft brewery established in 2009 in a small warehouse and a minimal budget went on to create the award winning Hefeweizen and put their name on the microbrew map. Black Market Brewing Company has won various awards with their Hefeweizen (4 awards), Rye IPA (4 awards), and Shakedown Brown (2 awards). The popular, Bavarian-style Hefeweizen is a refreshing, beautifully balanced, unfiltered wheat beer with subtle, fruit and spice character. Their original motive was to put Temecula in the spotlight of microbreweries with their high quality ingredients that can be found in every beer. Their popularity has grown to distributing their brews to Southern California, Arizona, and Washington. They hope to inspire more great beer makers with their Temecula-rooted success. Located in the Uptown Temecula district, the Black Market tasting room is open 12noon-9pm daily. Temecula Valley’s award winning microbreweries add to the extraordinary, year-round culinary experiences available in Temecula Valley Southern California Wine Country. For more information, check out VisitTemeculaValley.com.